This was the best antiaircraft gun developed by the Japanese before the war. It had excellent elevation and reach and could traverse quickly. 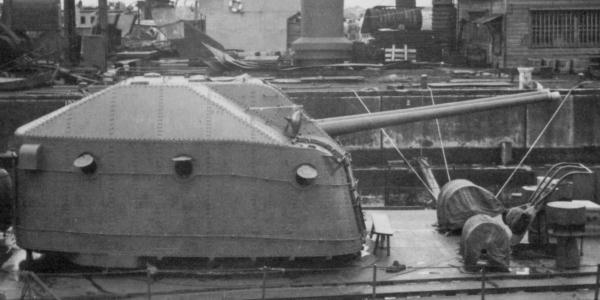 Its rate of fire was good, though not as good as the U.S. 5”/38 dual-purpose gun. Its directors were also poorer, and the 3.9”/65 lacked the radar proximity fuse developed by the Allies. Only 169 were produced, and only 100 of these made it onto ships, which included the Akizukis, Taiho, and Oyodo.